Jeff Pratt runs Verndale’s Commerce Practice, leveraging 25 years of experience in leadership roles across a wide variety of industries and business models. 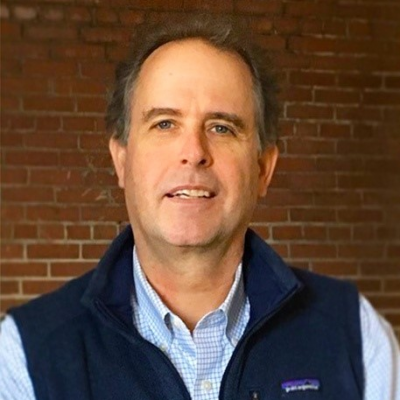 Jeff’s focus is on scalable digital transformation within the B2B sector - enabling evolution and growth through strategic implementation of commerce best practices, systems integration, and best-in-class technologies. His client work includes many leading B2B Manufacturers and Distributors including IEWC (Global Wire & Cable), Horizon Solutions (Electrical/Industrial/MRO) and Source Atlantic (Industrial, Electrical/Plumbing). In addition, Jeff has decades of experience with CPG and omni-channel retail brands, such as Orvis, Keurig GMCR, and Hershey Chocolate Company. Interested in showcasing thought leadership as Chairperson? How do you reuse content and integrate to omni channel without multiple reauthorizations? How do you improve the content of your site? How should you scale content and drive results through SEO? What types of content captivates your customers?